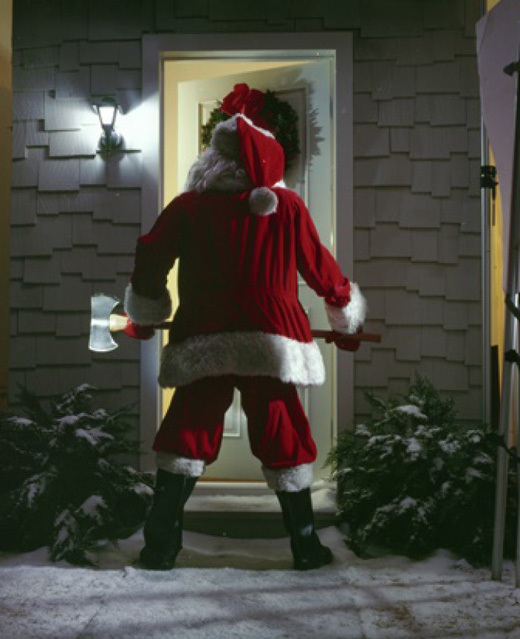 The second planned release entitled ‘Slasher Claus’ is one of the few IP’s that wasn’t actually being developed as a film. The history of the killer Santa horror sub-genre, in entertainment form, goes back to the 1930’s (I believe.) But, even before then, Santa’s potential dark side has been exploited to scare naughty children. There’s never really been a definitive killer Santa movie, though. 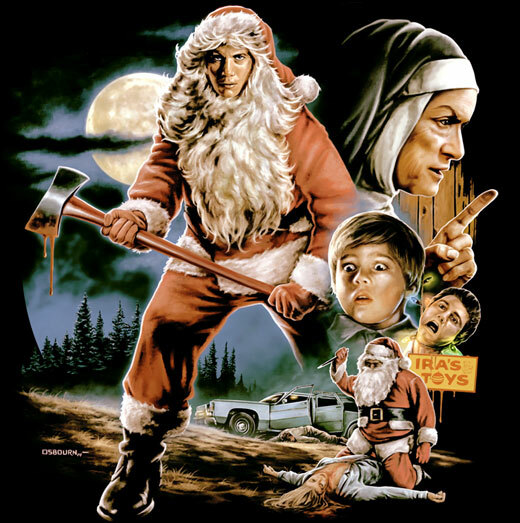 There’s ‘Silent Night, Deadly Night’ that became infamous when the poster for the movie sparked outrage and protests, because it depicted Santa descending down a chimney with an axe. 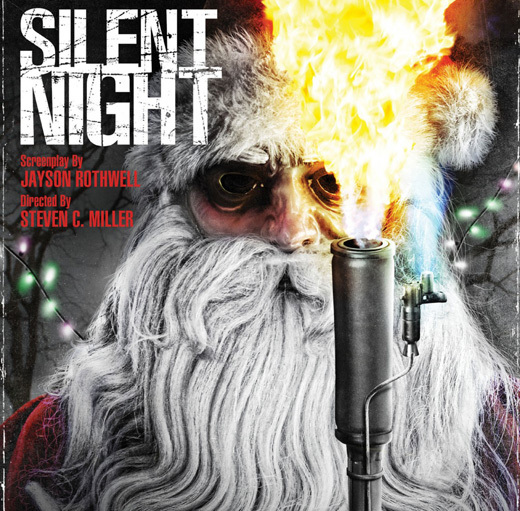 Even though the film was preceded four years earlier by ‘Christmas Evil’ and ten years earlier by ‘Silent Night, Bloody Night.’ Fun fact: Silent Night, Deadly Night opened against ‘A Nightmare on Elm Street’ and was out-grossing it until it was pulled from theaters because of the protests. If you’re rolling your eyes with the impression that the killer Santa sub-genre is cheesy juvenile fair, the director of Forest Gump directed an episode of Tales from the Crypt named ‘And All Through the House’ in which an escaped mental patient with an axe, dressed as Santa, breaks into a home on Christmas Eve and stalks a woman whose trying to kill her husband. 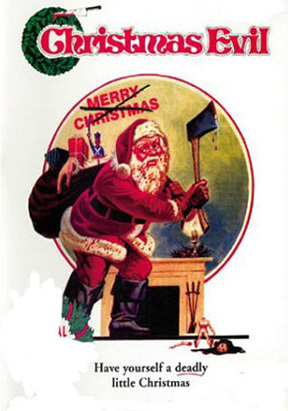 Full disclosure, the mock cover for Slasher Claus features an illustration from ‘And All Through the House’ with a full beard shopped in place. It will definitely be replaced with original artwork for the final cover. The cover is just a placeholder used to get the site off the ground. Also, the current cover is kind of zany and doesn’t represent the black-hearted tone that Slasher Claus will be grounded in. The mock cover was also designed in the style of the old and awesome Scholastic covers that had embossed titles. 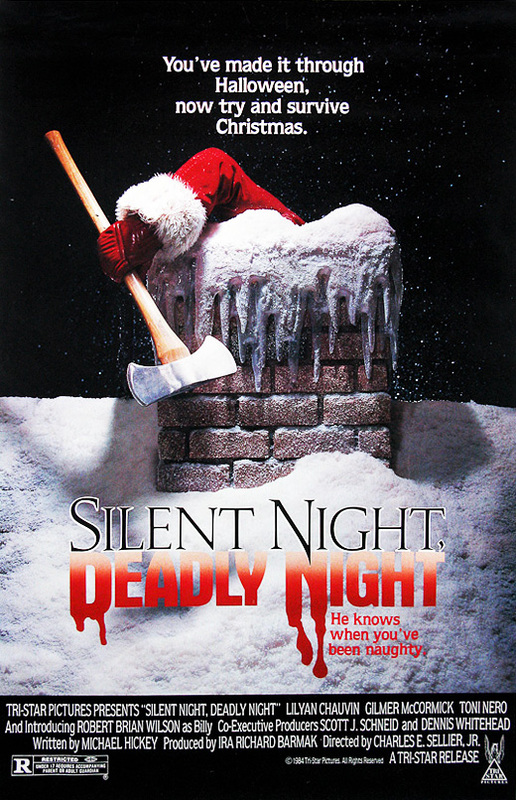 Slasher Claus was partially inspired by a conversation during a car ride with a fellow filmmaker about the remake of Silent Night, Deadly Night, entitled simply ‘Silent Night.’ And how it was another missed opportunity to nail the subject down. I was incredibly excited about the movie when I first heard about it. I mean look at that cover! LOOK AT IT. But, I was entirely disappointed when it was released. 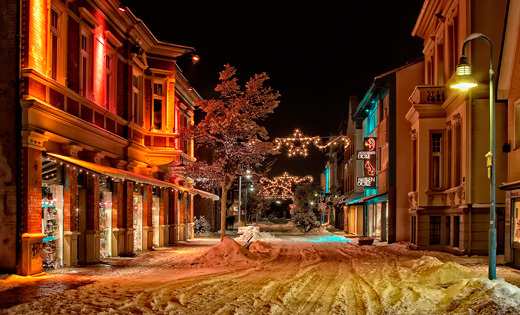 It was shot around Los Angeles where there is zero snow and all the sets looked too fake despite their best efforts. And the story was tastelessly based on the real life murders at the hands of a disgruntled husband who dressed up as Santa and attacked a Christmas party with a blowtorch at his ex-wife’s house. In the world of books, I can count on one hand the number of attempts that have been made to tackle the subject. The most notorious being ‘Santa Steps Out’, which I don’t even know how to explain. ‘An X-rated fantasy novel on an acid trip to hell’ is probably the best description. There’s a battle with an evil tooth fairy or something and, yeah, it looks pretty crazy. That’s how I ended up here. 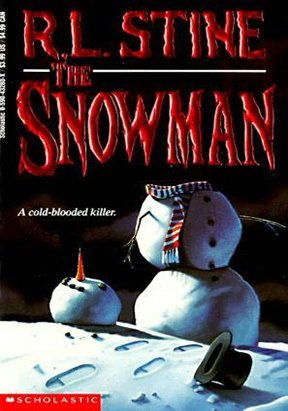 I’ve been building a ton of notes for the story and and my goal is to write “The Ultimate Christmas Slasher.” The plot is being kept secret for now, but I’ll say that it’s the most obvious plot possible even though it hasn’t been done yet. Which is kind of amazing itself.